Combine beloved characters, award-winning illustrations, a brand new, full-length soundtrack, and 48 jigsaw puzzles and what do you get? "Piccadilly's Puzzle Museum"! Explore four different levels of difficulty for each of 12 beautiful, full-color illustrations from the "Piccadilly and her Magical World" picture book series. Each completed challenge unlocks a new possibility. Finish them all to fill three entire galleries! 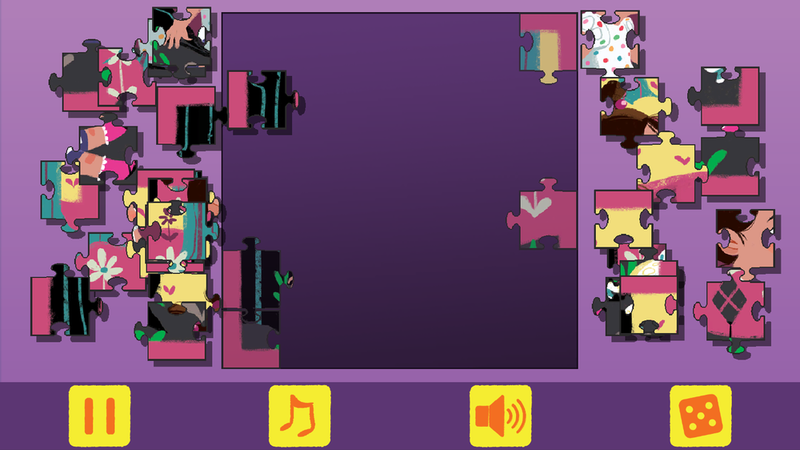 I am so proud and pleased to share this new puzzle-making app. Available now for only $4.99 on iOS!